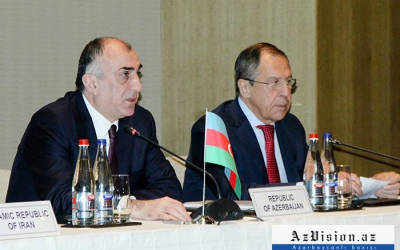 Azerbaijani Foreign Minister Elmar Mammadyarov has held a bilateral meeting with Russian Foreign Minister Sergey Lavrov, the Azerbaijani Foreign Ministry told Azvision.az. During the meeting, the sides expressed satisfaction with the high level of political dialogue and multi-directional cooperation between Azerbaijan and Russia, and some issues of mutual interest were discussed. Elmar Mammadyarov is on a visit to Russia to attend a meeting of the CIS Council of Ministers of Foreign Affairs in Moscow.